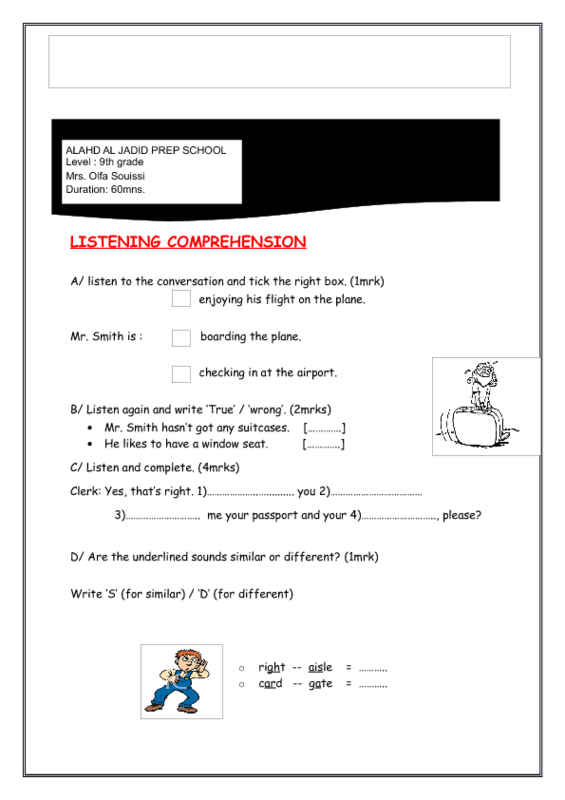 Listening comprehension - checking in at the airport - followed by a series of varied language exercises. The first activity is in fact a filling in gaps task using six vocabulary items among eight. The second activity consists in choosing the right alternative There are 8 correct alternatives. Finally in the third activity students are asked to read the dialogue and match underlined utterances with the right functions.